Our network spans multiple states, whilst encompassing the depth to penetrate into multiple target markets in each area. Regional newspapers allow you to target your audience with pinpoint accuracy, while maintaining a high ROI. Let us go through the hassle of finding your audience, all you have to do is send the message. We reach 1.2 million regional Victorian's weekly. This map illustrates the breadth and depth of network, showing which newspapers we have in which regions. 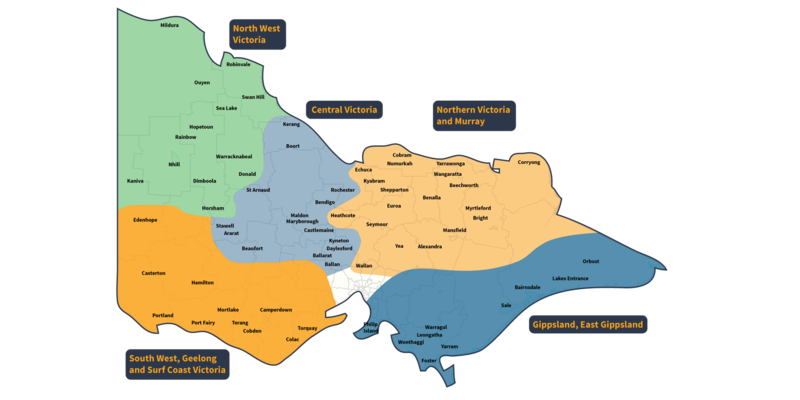 We have an extensive range of partners in all five of the Victorian regions, leaving no stone unturned. Whatever your marketing goal, click on this map to see how our coverage can help you reach your audience. Located in SE Victoria, the region extends eastwards from the edge of metropolitan Melbourne and is home to unspoilt beaches, pristine rainforests, snowfields, hiking and riding trails. Its major industries are forestry, energy and agriculture, contributing to 25% of Victorian beef production. There are strong retail trade and tourism related industries, as well as a growing tertiary sector. The South West has many natural features, including the iconic Great Ocean Road, which attract significant numbers of overseas tourists. The region is also home to Geelong, Australia's largest provincial centre, with population projected to grow approximately 25% by 2026. The region boasts over 35 wineries and its primary commodities are milk, beef, lamb and seafood. This warm area of Victoria is known for its large and historic regional centres such as Bendigo and Castlemaine. As one of the most productive and diverse agricultural sectors in the country, Central Victoria supports a wide range of industries and contributes a third of Victoria’s pork production. Production of world class wines and gourmet food earn this region a place in the ‘foodbowl of Australia’.  Around 20% of Victoria's agricultural production, as well as 13% of the nation's milk, comes from this area alone. Additionally its one of the fastest growing regions in the country, projected to grow by over 23% by 2026. Containing two statistical regions, Brisbane and Moreton, SEQ is a biogeographical, political, and administrative region of the state of Queensland in Australia, which contains 3.4 million people out of the state's population of 4.8 million. The region comprises the whole of the north west, including the North West Coast - and the northern reaches of the West Coast. It is usually accepted as extending as far south as the Pieman River and including the Tarkine.